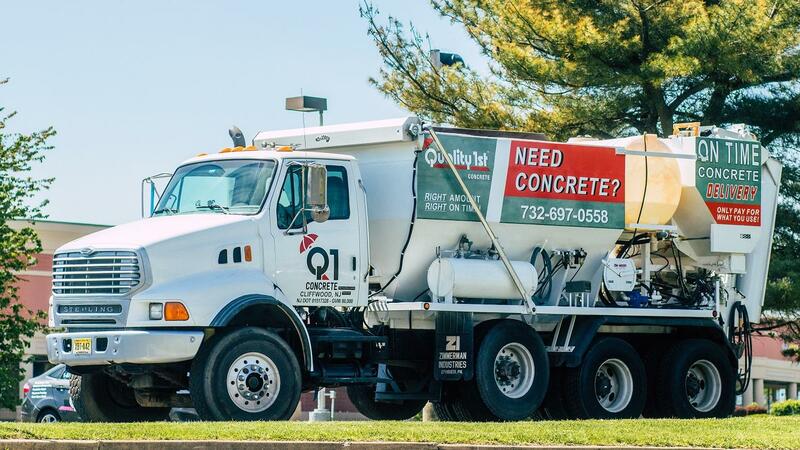 Quality 1st Concrete is a concrete supply company based out of Monmouth County, New Jersey. We use specialized Mobile Mixer trucks for your fresh, concrete mix on every delivery we make. You only pay for what you use with Mobile Mix Concrete Trucks versus Barrel Trucks where you pay for what you'll need. 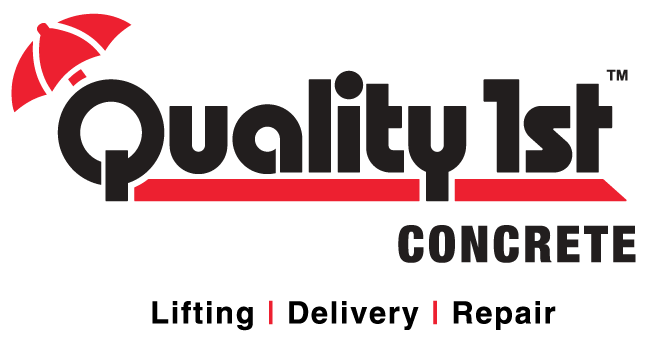 We are the only company in NJ with a truck that comes to you, mixes on site, and delivers what you need to make the job better quality and more convenient for you. No one else in New Jersey can offer you what we provide in concrete services and supplies. Call us today for fast, professional concrete service! We work in New Jersey including Elizabeth, Edison, Middletown, Old Bridge, Plainfield and nearby towns. Just contact us to get started! Our employees are certified in the subjects of: the science of concrete, concrete testing, maintenance and operation volumetric mobile mixer, unit calibration, concrete aggregates, concrete finishing, varied weather concrete production, and specialty concretes. They also learned the ins and outs of our trucks and how to calibrate the volumetric mixer. Experience! Knowledge! Skill! We Excel under pressure! Quality 1st Concrete has been serving New Jersey since 1986 as a home improvement contractor.